As prices skyrocket on everything from coffee to chocolate, here are 10 things that are actually getting cheaper, according to dealnews.com. 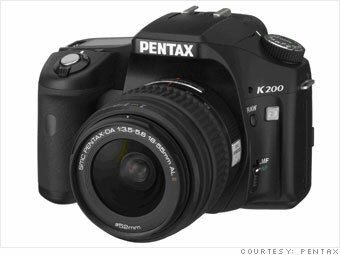 Not only is this camera cheap, it's one of the greatest values out there for a high-quality camera, said Beth Pinsker, editorial director of dealnews.com. As point-and-shoots gain in popularity, these larger, slightly clunkier cameras are slipping in price. "$299 for one of these great functioning machines is a great steal," she said. "Even my 2-year-old cousin can use them -- they're not difficult to use -- but I guess they scare some people away." The data for this analysis is derived from "deals" that were previously listed on dealnews.com. By definition, all deals on dealnews are price-checked, verified offers -- "the lowest total price we've seen" -- so the data used for dealnews predictions is based on low prices, not average prices. Refurbished deals are excluded.